A midweight hiking sock with impeccable credentials. 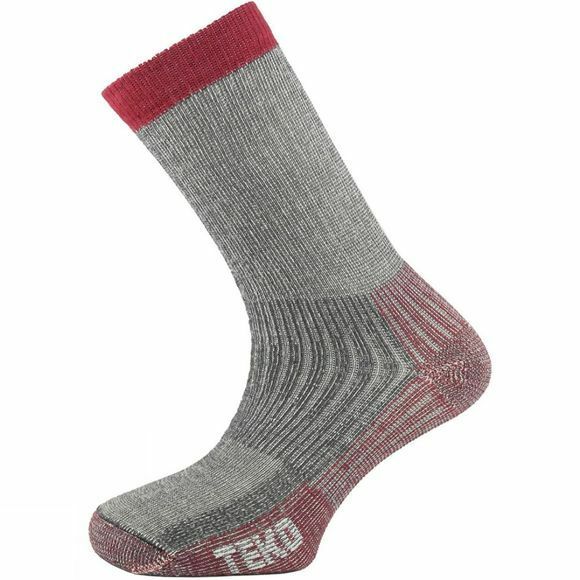 The Hiking Medium Crew Sock has a classic construction provides an active, outdoor fit that stays put, featuring a seamless toe, arch brace, articulated Y-heel and comfortable double cuff. Teko's M3rino.XC fibre is exceptionally soft, with natural moisture-wicking, insulating and anti-microbial properties. This sock is perfect for hiking in moderate or cool conditions.